If you’re looking to get into gardening, you may have found yourself overwhelmed with the endeavor. Sure, there’s a lot to learn, but people rarely stop to consider the immense cost that can be associated with gardening. You don’t want to skimp on any aspect of our garden for fear of ruining your chances of a good harvest. However, there are several easy ways to save some significant money without having to cut any corners or sacrifice the quality of your crops. An easy way to save money on gardening is to grow your plants from seeds, instead of started seedlings. A six pack of seedlings can cost anywhere from three to six dollars, while a packet of 500 seeds costs less than two dollars in most cases. While it can be more work to start plants from seeds – especially if this requires starting them in flats indoors long before spring has arrived – you will save a ton of money in doing so. If starting your plants from seed saves money, then saving your seeds to reuse year after year is a real groundbreaker. While shopping for seeds can be fun and exciting, the costs add up. If you are able to save your seeds from the year before, you can plant the ones you want and then organize a seed swap with your friends and neighbors. This will allow you to obtain a wide variety of seeds at no further cost to you. 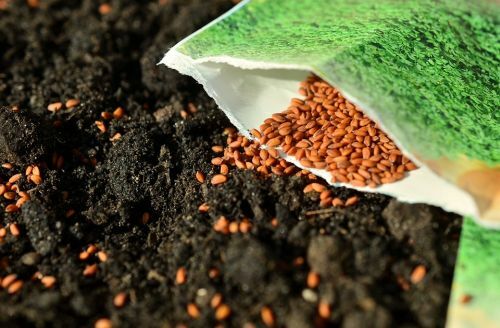 Be careful about saving seeds that are patented by companies like Monsanto – if you are gardening or farming on a large scale, this can get you into some trouble. If you’re growing trees, berries, or things like shrubs, you will need to start your plants by cuttings. To do this, all you need to do is find someone with the plant you are interested in growing, and then cut a few tiny sticks from it. When you put them in moist soil, you should have roots and leaves within a few months. You don’t need fancy planters, containers, and building materials to create an attractive, functional garden. Planters can be made out of everything from old bathtubs to wooden pallets to upcycled tires. You can paint the surface of these found “treasures” to help them blend into your garden – just remember to wash them first to remove any potential contaminants or lingering plant diseases. Some people pay professional landscapers to come design their lawn and garden. This is absolutely unnecessary. With a bit of effort and research, you can create your own attractive, functional garden. There are thousands of books written about gardening and landscaping, so if you are patient and give yourself time to learn the ins and outs of the discipline, you can have a garden that is just as attractive as one that costs thousands of dollars in labor and design costs. Compost, anyone? Buying bags of compost or other fertilizers – even the natural, non-synthetic ones – can really add up. Compost is only animal byproduct, like bone meal or manure, as well las natural materials like shredded bark. It’s crazy to pay for compost that you could make yourself! If you have chickens, or live near a farmer who raises livestock, ask to clean out their barn or coop. Chances are, they won’t say no, and you’ll have access to free manure. Place the manure in a pile with things like wood shavings and leaves, and stir every week for a few months. Let it sit for at least six months, and you will be left with a nutrient-dense compost – for absolutely no cost to you. You can also add other natural materials like crushed eggshells, Epsom salts, and banana peels to your garden. This will add necessary nutrients like calcium and phosphorus. Consider doing a quick home soil test to make sure your soil is actually deficient in those nutrients before adding them, however. You don’t need to start going door to door to beggar supplies. However, you should become an expert at hunting down a bargain. Tree-cutting companies often have large piles of mulch on hand for free or low cost, while grocery stores may give away cardboard that you can alternatively use as mulch or in your compost. You might be able to make your own gardening tools out of broken or discarded “junk” you find at the landfill or at a thrift store. Craigslist is another great place to score free gardening supplies. You can find everything from plants, planters, seedlings, piles of compost, tools, and even machinery for free or low prices. Check the free and farm and garden sections regularly for the best deals. Avoid adding things like herbicides and fertilizers to your garden. You can manually remove weeds or smother them with mulch. You can use woodchips or straw, black plastic, or even goats to do your wedding for you. Cover crops can also help to retain soil moisture and keep the soil fertile and weed-free. There is no need to pay for expensive chemicals which, frankly, aren’t good for you anyway! Liquid compost, or compost tea, is another great way to fertilize your garden on the cheap. This is essentially compost steeped in water to create an extra-potent brew. You can spread this directly on your garden without harming your plants, and is a great, free way to fertilize long after the seedlings have emerged. You can choose to buy tons of gardening equipment, like tillers, tractors, and handheld tools. However, working on a budget makes this a bit more challenging. Instead, consider where you can replace machinery with a bit of muscle. Things like hoes, spades, and rakes can help make light work of tedious garden chores, and will save you tons of money on fuel, repairs, and other costs associated with machinery. Your arms will be tired at the end of the day, but you will get in a good workout and leave your wallet intact instead. There are some places where it’s easy to cut gardening costs. However, in others it may be worth to pay a little bit extra for quality, high-functioning products. Grow lights, for example, can be expensive, but really make all the difference when you’re trying to start your seeds inside. When possible, find inexpensive options like shop lights to substitute for more expensive varieties. Container gardening is a great way to save money on your garden, because you can move these containers around when the weather changes or they have simply started to be constantly in the way. Containers can be repurposed from items you have around the home, or you can purchase inexpensive varieties at the dollar store. As long as you don’t plan on moving these a ton, these are a great way to save some space, time, and money. Especially if you live in an arid climate, water for your garden alone can be a significant expense. Times this expense by ten if the summer is a particularly harsh, dry one. While many gardeners use well water, an alternative to this already-inexpensive source is harvested rainwater. Put a barrel under a roof and attach a gutter so that all the water flows directly into the barrel. You can then scoop water out with a bucket to water your garden, or you can plumb the barrel to a hose to soak the garden with minimal effort. Dirt should be…well, dirt cheap! Don’t spend a ton of money on soil. Garden supply stores will charge you an arm and a leg. Dig your dirt in an area where you have permission, or ask your nursery about buying soil in bulk. It’s also worth paying a visit to your local cooperative extension or research organizations. These places often grow vegetables for research purposes, and while they can’t reuse the dirt when they’re done with it, they’re often willing to give it away for free. Worst case scenario, you can store your compost throughout the year or buy actual manure to fill your beds. These will work just fine for planting your crops. Gardening can be a lot of work, but your friends can be your saving grace. If you or your friends have minimal space or resources, you can band together to make a cooperative garden and to take turns tending the space. You can also have events like plant exchanges or team up to buy seeds in bulk. You can’t be too prepared when it comes to growing a successful garden. Make a list of all the plants you must have for each season, and be sure to detail the plants you care about most along with specific varieties. Be sure to keep your preferences and habits in mind when you’re doing this. If nobody in your family eats green peppers, for example, you really shouldn’t be planting an entire row of peppers. Don’t bank on the fact that you’ll figure out what to do with them later. You should also plan out where you want to plant your vegetables. All too often, we get carried away with ordering seeds and seedlings with nary a thought to where we will place these plants. Unfortunately, this can cause you to crowd your plants or to have a haphazard layout of your garden, when the easier alterative would have been just to map this out in advance. Rotating your crops is a good rule of thumb in general, but is especially important if you’re looking to save a buck. Crop rotation -which should be done at least every other year, if not every year – helps cut back on the diseases your plants are exposed to, since many of these are stored in the soil and can las throughout the winter. Furthermore, pests that tend to infest one type of plant will also lay their eggs in the soil to survive the cold months ahead. Rotating your crops is the best way to ensure that diseases and pests don’t affect your plants. Don’t let any piece of your hard-earned harvest go to waste. If you have livestock, like chickens or pigs, you can feed some of your extra bounty to them. Learn how to can, freeze, and dehydrate so that you can preserve a good crop between the seasons, or donate excess produce to the food pantry or family and friends. A tasty tomato never goes to waste – regardless of whether you are feeding it to a hungry hog, a grateful mother, or your own best friend. You can use items you have lying around the house to create your own plant markers for in the garden. Consider using Popsicle sticks, wine corks, or stones to designate specific spots for your plants. When you’re storing seeds between growing seasons, you need to make sure you are keeping them in optimal conditions. Ideally, you should keep them in a breathable box, like a cardboard container or a ventilated crate. You can also upcycle things like old Tic-Tac containers to store your seeds – just make sure they are breathable. Store your seeds in a cool, dark location (the refrigerator works just fine) and check them regularly for signs of spoilage. 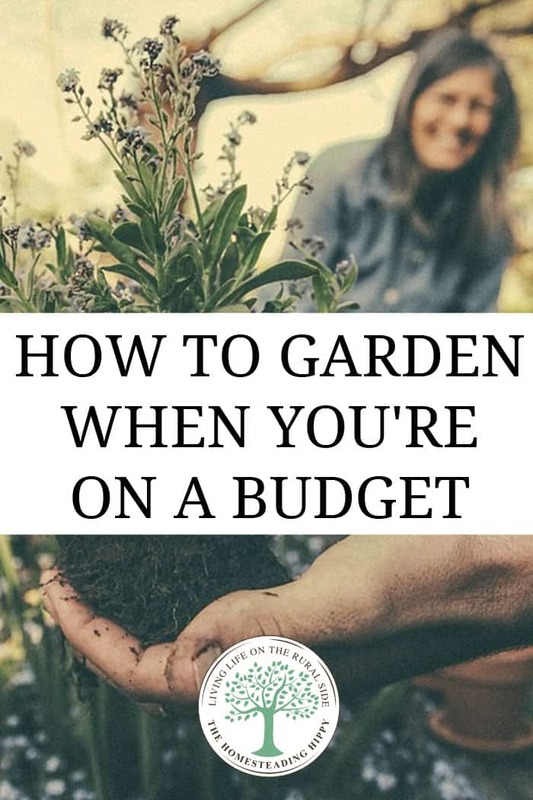 If you’re looking to grow a healthy, productive garden this year, but want to stick to a tight budget, consider these tips. They will not only help you make the most of your garden without breaking the bank this year, but will be a lifesaver in the years to come.